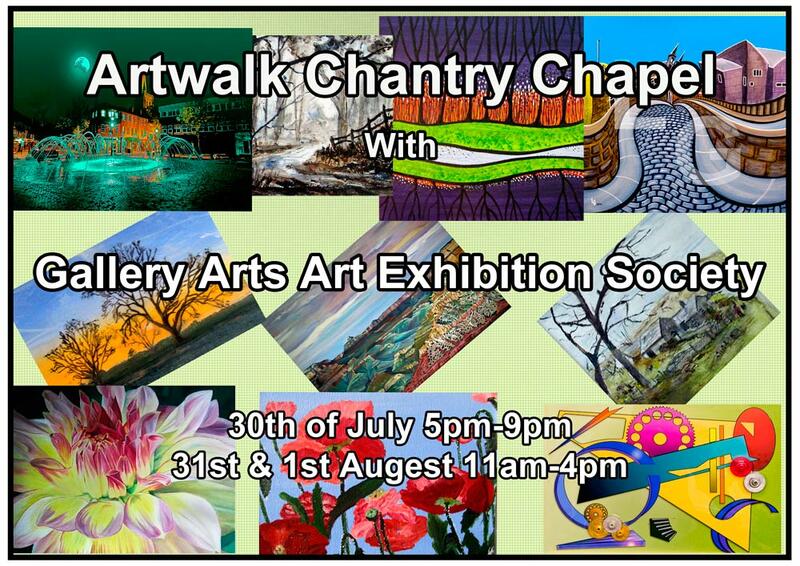 ﻿ Gallery Arts exhibition group will return to Chantry Chapel for the July Artwalk in conjunction with artist Jaimimi Patel who will be working in the crypt on her latest installation during the lead up to the event. A unique film, recording every stage in the building of the award-winning gallery, the Hepworth Wakefield, is to be shown during the May Wakefield Art Walk as part of a multi-media exhibition of the work of Wrenthorpe-based artist Brian Holding. Brian, who got his first camera for his fifteenth birthday, retired in 2008 at the same time as work on the great art gallery began. His sense of history had already prompted him to create an archive of images of the changing landscape of Wakefield, and in particular what was disappearing. The building of the Hepworth Wakefield, which stands on a headland of the River Calder, provided something more positive. ‘It gave me the chance,’ he says, ‘to record the birth of something that will be inspirational to all Wakefield artists for a long time to come’. He gained permission from Gordon Watson, who was overseeing the project for Wakefield Council, and Simon Wallis, who was appointed as the gallery’s first director. This gave him remarkable access. His record, over a three-year period, of the construction seen from outside and within the building, ends on 21 May 2011, the day before the gallery opened to the public. No other comparable record exists. Starting work at fifteen, Brian used his first pay packet to buy a book on photography. Later he joined Wakefield Camera Club, learning a good deal, he explains, from fellow members and going on to win competitions and amass trophies. In due course acquiring a camera with HD video, he began to produce documentaries combining still images and video footage. In 2012 he created a film of gargoyles on churches across the former Diocese of Wakefield and this will be shown at Wakefield’s Chantry Chapel on 23 July this year as part of the National Festival of Archaeology. As a painter, Brian joined Wakefield Art Club some ten years ago. Today he experiments with a range of media including water colour and oils, and gold and black lacquer. He paints both landscapes and abstract images. ‘I am always trying new techniques,’ he says. Brian realised how great an appreciation of art exists among Wakefield people. To provide exhibitions – of others’ work as much as his own – he founded Gallery Arts, a society which does just that. He marked the opening of the Hepworth Wakefield, with a week-long exhibition by society members in the nearby Chantry Chapel, drawing over a thousand visitors. 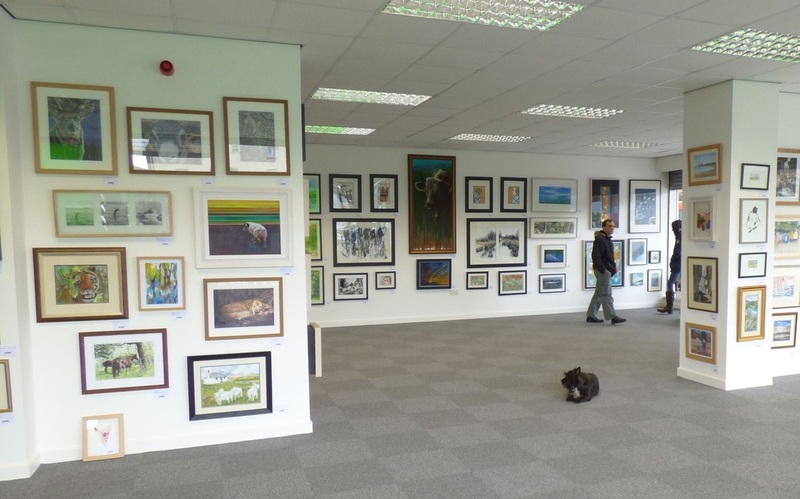 Since then Brian has organised a seven-day exhibition in Wakefield Town Hall and a pop-up gallery in the Ridings Shopping Centre, Wakefield, which was so successful that it was extended from the planned six weeks to twelve. There was then a successful exhibition which raised hundreds of pounds for the charity, Help the Heroes. At Westgate Chapel on 28 May Brian will have his own solo exhibition. As well as the film about Barbara Hepworth and the building of the Hepworth Wakefield gallery, it will include a wide range of his photographs and paintings and some of his pottery. The exhibition will be open from 5pm to 9pm. Admission is free of charge. Gander is a new 'Pop Up' enterprise started by local artists, Tania Kuritzin and Rachel Knowles. The aim of “Gander” is to occupy empty premises for a short period to create a unique gallery space in which to showcase local artwork. 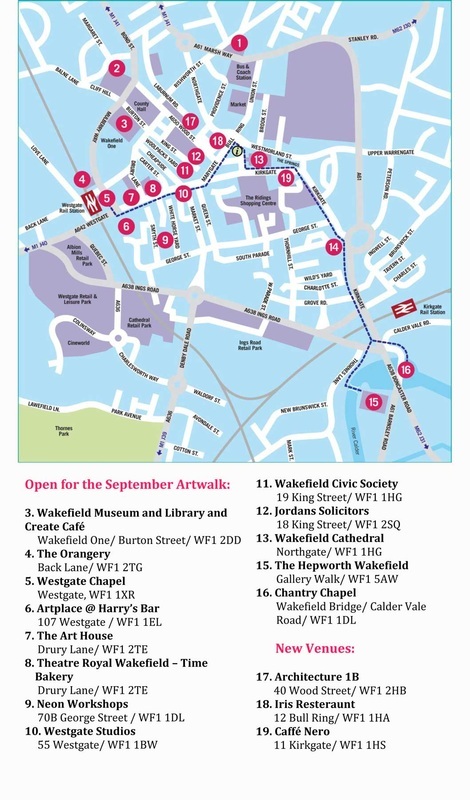 We are pleased to have been given the opportunity to occupy a unit in Wakefield (the old cash converters premises, 102-104 Kirkgate, Wakefield, WF1 1TB)and are now looking for local artists of all disciplines to bring work to exhibit in our new space. We are looking for work from local artists in any medium and size, and of a high standard. We would be pleased to accept up to 4 pieces from each artist. This can be current work or work from previous years. To cover our running costs, we will deduct 25% from each sale. Private View, Friday 6-8pm open to artists and their friends and family. Gallery opening Saturday 3rd May, 10a.m.